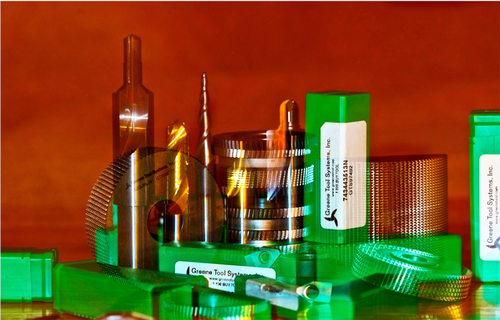 Greene Tool Systems, Inc., is a world-class precision carbide round tool manufacturer based in Dayton, Ohio, USA. We serve clients worldwide, providing the highest quality precision carbide round tools. Established in 1986, Greene Tool Systems, Inc., has developed a reputation for unmatched customer service, technological innovation and prototyping, and world class quality control. Our quick turn around time on edge-of-panic troubleshooting and custom tooling solutions are well-known in the industry. We invest considerable time and resources in innovating new technologies, like the GTS Monroe Edge, which extend tool life and precision, and custom tooling solutions, which save our customers critical production time by eliminating unnecessary steps in their manufacturing processes. When you enter an order with Greene Tool Systems, you can be assured that the tools will always be to print. Once a tool is designed and entered into our GTS Job It® Quality Control System, all dimensions, tolerances, and other specifications are used in exactly the same way, under the same conditions, every time the tool is produced. At Greene Tool Systems, standard procedures are critical, particularly when a change notice is required. Greene Tool Systems also offers comprehensive re-manufacturing of carbide round cutting tools tailored to the requirements of the automotive, aerospace, and general engineering industry. Please contact us to receive more information or learn how we might provide a custom tooling solution for you.